Just reported from CNBC news, Crystal City, located in Northern Virginia is in the Top spot for the second headquarters for Amazon. The list of 20 cities that were in the running for Amazon has been narrowed to 3, New York, Dallas Texas and Crystal City in Northern Virginia. The Washington Post is reporting that buildings in Crystal City are taken off the leasing market and speculating that JGB Smith ( premier developer in Crystal City ) are holding them for Amazon. So will where employees of Amazon live? Well, Crystal City is located in Arlington County which is a terrific urban location but one of the most expensive places to live in Northern Virginia. I myself am excited to get new neighbors. The buildings in Pentagon City or Crystal City (I interchange the two) are not as vibrant as once in the past. 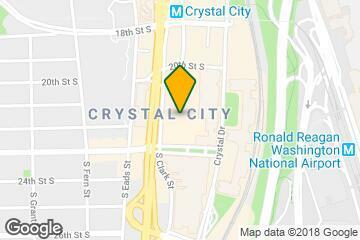 The last time I was in Crystal City it felt that many of the large buildings were empty. I am glad that there will be more jobs in this area. Will Amazon attract people to move into the area? Most likely Northern Virginia will gain some population. There is a lot to do around here. Our nations capitol is extremely close is just across the river. From many buildings in Crystal City there are terrific views of Washington D.C. It will be nice to see old buildings re-imagined and put to use. We are your expert resource in Real Estate for Northern Virginia. Looking to buy, rent, or sale a property in Northern Virginia, we can help!